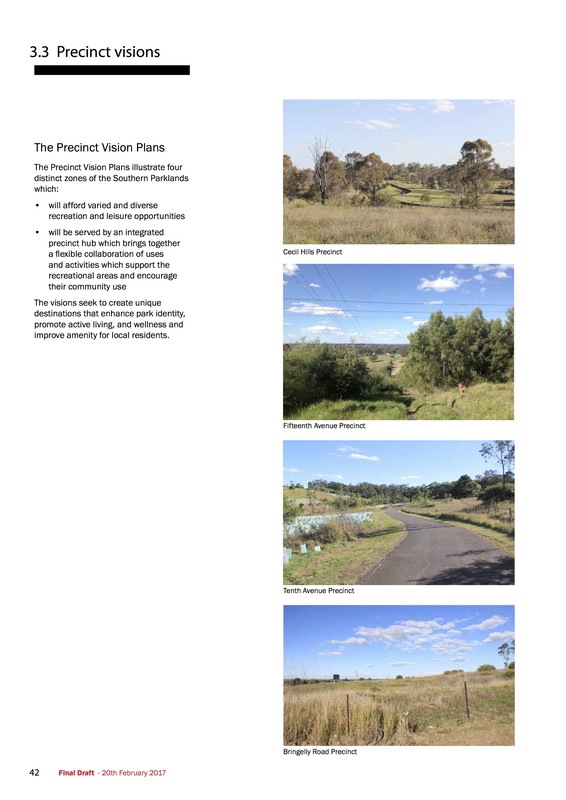 The Western Sydney Parklands Trust appointed Environmental Partnership’s sydney collaboration TDEP to develop the Parklands Southern Precinct Vision. 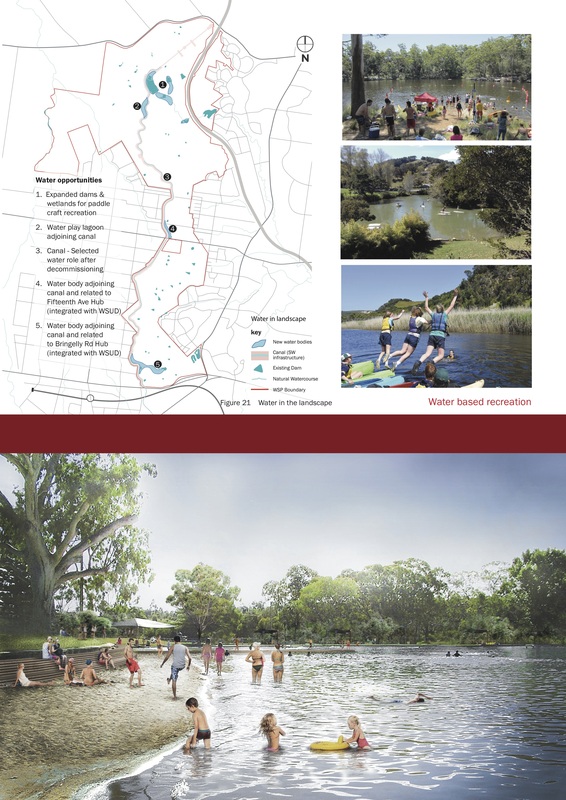 The Southern Parklands lie in the south of the Western Sydney Parklands corridor and comprise 1500 Ha (28% of the Parklands overall), which at this time is largely underdeveloped for recreational and leisure uses. Surrounded by a community from over 44 countries the Southern Parklands provides the opportunity to celebrate diversity and be a meeting place for the locals who now call Australia home. 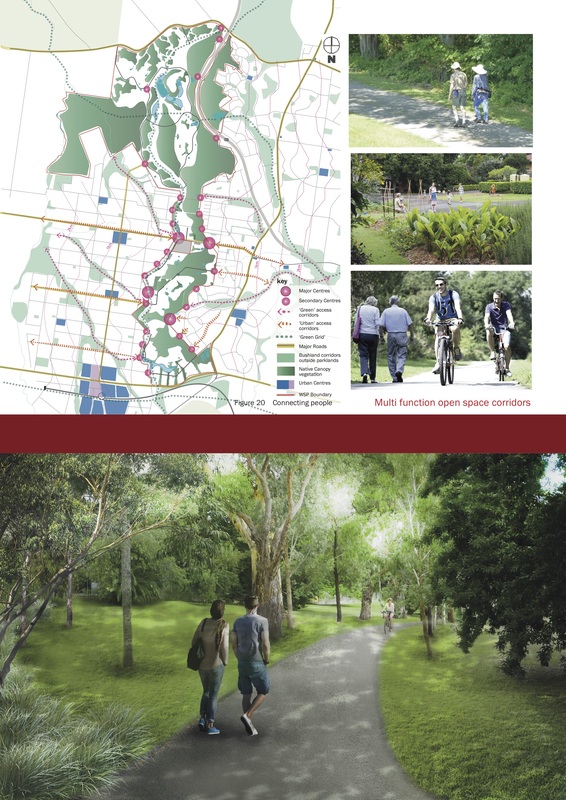 With opportunities ranging from Vietnam’s market gardens to India’s Vastu gardens, a diversity of programming promoting safety, comfort and delight can be the basis of an inclusive parklands. 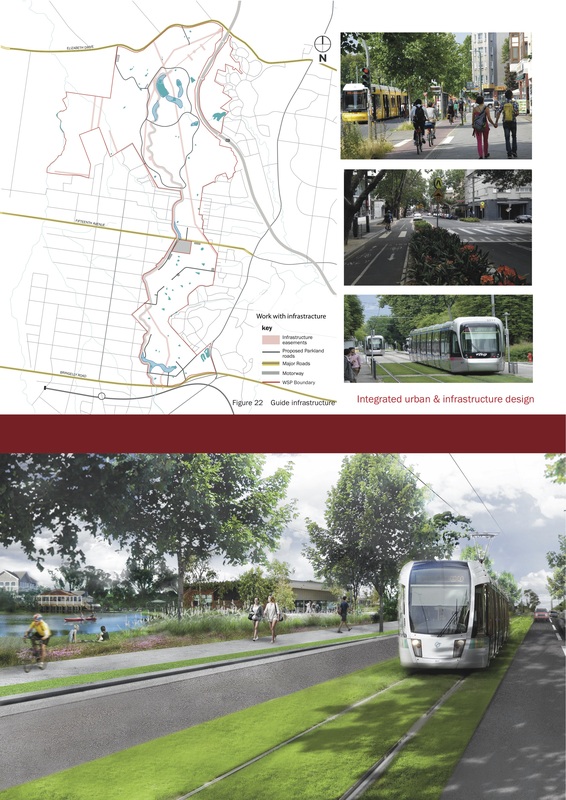 In particular the plan emphasises the need for the park to positively address new commnuities with a potential for a higher level of density and activity adjoining the park edge. 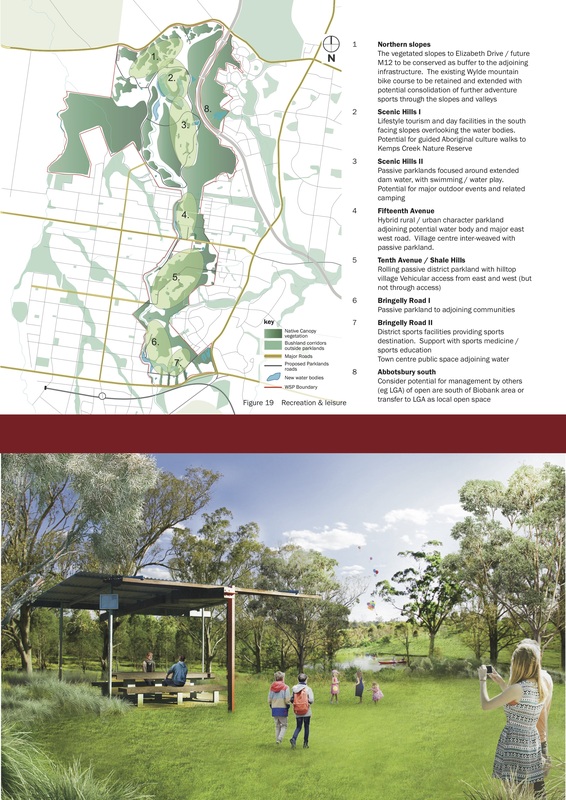 The final document provides a 20 year Vision for the Southern Parklands giving guidance to the evolution of development, use and facilities ,and informing the relationship with adjoining infrastructure and development. 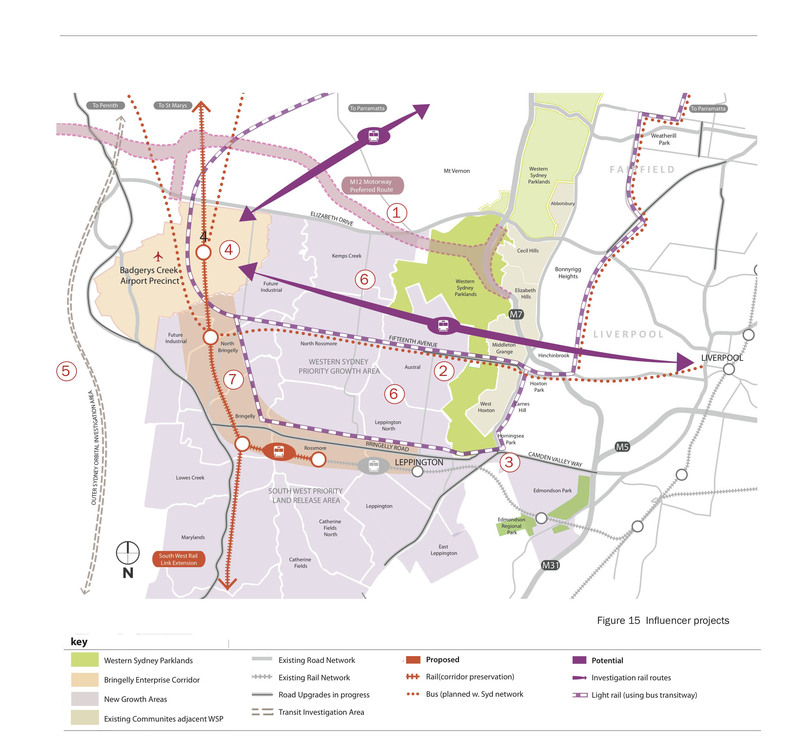 The Southern Parklands lie within a context of evolving urban and infrastructure development. 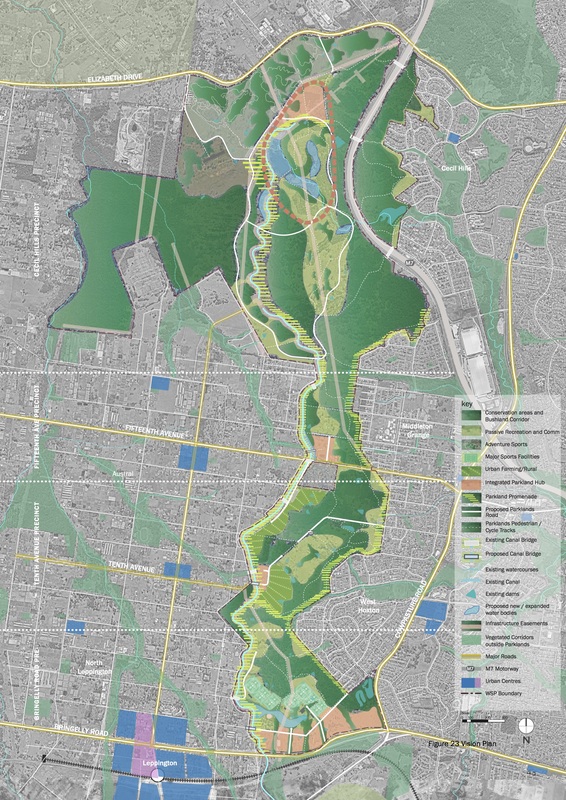 Implications of these projects for the Southern Parklands need to be considered in park planning and where possible “the Southern Parklands” influence these external projects for mutual benefit and an optimum community outcome.